London Bulls would like to make you aware of the fundraising initiatives we are currently running. Firstly, as of now, there is a live eBay auction for a variety of Hereford United signed and match worn memorabilia. These include signed shirts and footballs donated from the London Bulls community. We would like to make special mention to Alan Leighton and Mitch Stansbury, amongst others, for their kind donations. The money raised from the auction will be donated to either the supporters trust or the football club itself at the discretion of the donor, this is made clear on the auction information. Please read below for more information and links to the items. All items can be found on eBay if you click HERE. Please remember all the money is donated to help aid the survival of Hereford United. These items may be a great idea for a collector or as a gift for any HUFC fan. Also, London Bulls have been in talks with the host of our next southern based match, Welling United, regarding a collection on the evening of the game. We plan to have a bucket collection before the game, at half time and in the social club at the ground. The match is to be played on Tuesday 8th April at 7:45 pm. We would like to extend our thanks to Welling for being extremely helpful in supporting and helping facilitate this. They have also invited us to share their club house pre match which we urge supporters to do to promote the "Football Family" ethos. All proceeds will be split 50/50 between the Trust and the Club. Please feel free to get in touch if you feel you might want to help out on the evening. An e-mail will follow later in the week with travel info. Items available at auction now..
Diagouraga #20Worn at Brentford in the promotion clinching game 2008. Signed by 9 players. Click HEREfor the link. Worn by wee Jimmy at away games 2009/10. Also signed by player. Click HERE for a link. Signed by the full current (and maybe last) squad. ClickHERE for a link. Fans favorite Danny Williams signed shirt. Worn 2011/12 season. Click HEREfor the link. Worn by Matt Done at away games 2009/10. Also signed by player. Click HEREfor a link. Signed by the team that beat Hartlepool in the 2nd round in 1999 to secure a memorable draw against Premier League Leicester City. Click HERE for a link. To see all items available for auction click HERE for a link to the eBay page. You can now purchase your tickets online for the upcoming game against woking. The money from your ticket will go directly to the club and can be purchased HERE. All tickets will need to be collected from the club office. Hereford United chairman David Keyte has spoken by video-link to BBC Midlands about the current financial situation at Edgar Street. "The situation is still extremely precarious," said Keyte. "We're all guns pointing towards the court hearing on Monday, the winding-up order that HMRC have put against the club. "So our first task that we are focusing on solely is raising the £78K. "Following Saturday's match we raised £20K towards the taxman and I say that because we have given a further sum to the players and staff. "I understand that tomorrow HUISA have a further £3K"
Presenter Nick Owens then asked Keyte about the level of support for the club. "That has got to be a question raised, every time I tend to I get shot down in flames, blaming the fans again. "We are trying not to blame those 1600 that turn up rain or shine but the fact is there does seem to be some apathy around Herefordshire in general towards the football club." Owens then asked how this affected Keyte both personally and financially. "Personally I tend to be a person that puts on a face, a front to it, but it does eat away and certainly family-wise, home-wise. "Financially I've put too much money into it but that seems to get forgotten at this stage and if it truely is the saving grace that Ketye walks, or get Keyte out, then I can accomodate that." He was then asked if he regreted buying the club. "Well I think you've got to have some moments when you think that. "I said before that I had a figure in my mind that I was prepared to put into the club. "What I've not be able to account for is probably not being able to walk away at that figure and of going past it and double now in four years. "That's what I have to grapple with from a family point of view." Will Hereford United be here next season? "That's the plan and ideally in the Hereford United 1939 format. "None of us on the board are working towards a real-vamped club, AFC Hereford is not on our agenda but if other people want to dictate that then we have to listen." Also interviewed was the leader of Hereford Council Toby Johnson. "We can't offer cash," said Johnson. "But we can offer help, advice, terms of lease, negoations on rent and we're doing all of those things and everelse we can do that doesn't involve direct cash we'd be happy to talk about. Hereford United have paid £20,000 of the £78,000 owed to HMRC according to a report on BBC Hereford and Worcester. The remaining £58K has to be paid before Monday or the club will face a winding-up order in the High Court. Meanwhile the club has said that anyone wanting to help the club can purchase tickets for next Saturday's game against Woking. In other news the Hereford branch of Morrisons will be helping raise funds for the Bulls on Wednesday. And on Thursday evening a 'Nostalgia Evening' at the Starlite Rooms - all about the Conference Play-Off final from 2006. 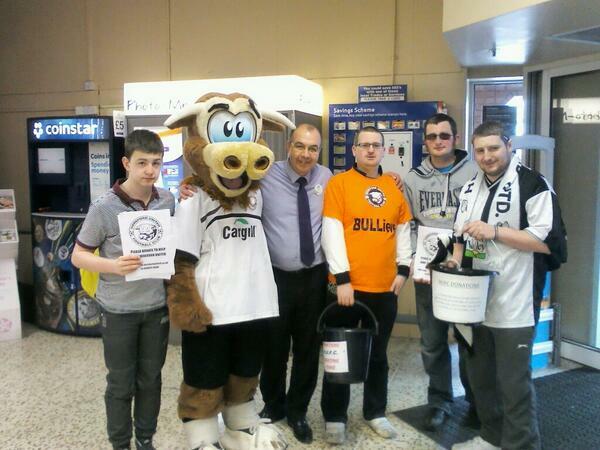 The Bulls say they have received £8,800 in donations so far. With deadlines fast approaching, the total is only the sum given directly to the club. Omid Djalili – Comedy to Save the Bulls - Sun 6 April at 7.30pm. Tickets are on sale at a price of £20 and can be booked through The Courtyard's box office in person or by telephone on 01432 340555. Online sales should also be available shortly. 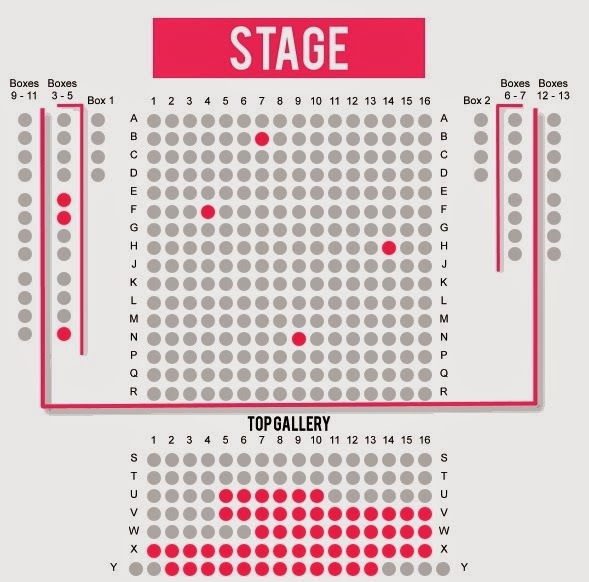 UPDATE: Over 120 tickets sold by 6pm this evening. BBC Midlands Today have been interviewing people today for a piece on the Bulls tonight. Club historian Ron Parrott is amongst those interviewed, with the coverage in their programme on BBC1 from 6.30pm tonight. The Courtyard will host the Bulls on Sunday as Omid Djalili plays a fundraising gig for the club. Further details will be released as they are finalised. Representatives of the boards of the Club, HUISA, and HUST will meet on Wednesday night to consider the financial position of the Bulls. The meeting will seek to determine whether the club can meet the demand for the winding-up petition in the High Court, with the Club Board needing to make a decision on Friday regarding the various courses of action. Anybody that is considering donating to the cause, by any method, is urged to do so sooner rather than later. Comedian Omid Djalili has made the brilliant gesture to play a fundraising gig for the Bulls next Sunday. As well as being a comedian, with his own BBC1 series, Omid has also been seen in a string of Hollywood blockbuster movies like Gladiator and Pirates of the Carribean. Tickets will go on sale shortly, with the club still finalising details. Hereford United's plight has featured in several national papers over the past few days. There is a stand at Hereford United’s Edgar Street stadium that was built with the money generated by their giant-killing exploits of 42 years ago. Ronnie Radford’s rocket stunned Newcastle United and created an FA Cup legend that is still recognised today with an award handed out before each final at Wembley to the team who can claim that season’s greatest shock. But that stand, the last renovation at the ageing ground, has been a lonely place on match days this season. Crowds are down and cash has dried up. Hereford are one place above the relegation zone in the Skrill Conference Premier but, more importantly, on the brink of oblivion.This week it was revealed that the club need to raise £78,000 by April 7 to meet a tax demand - or face being issued with a winding-up order. For a club in League One as recently as 2009, their slide out of the Football League two years ago has proved tougher to deal with than ever imagined. Gone is the £750,000 assistance each year from the League, replaced by an annual sum of just £48,000 from the Conference, plus a parachute payment last year of £250,000. If not quite dropping off the face of a cliff, revenue streams have certainly sped quickly down a very steep hill. Average attendances have dwindled from 3,421 in 2007-08 to 1,658 this season. Chairman David Keyte, whose father John was chief superintendent in the city when Newcastle, Malcolm Macdonald and all, came to town in 1972, has attempted to cut costs. Around £800,000 has been slashed off a £1.2million wage bill in two years. The playing squad is threadbare... and they have not been paid in full for nearly two months. Results have suffered with no wins in 11 games leaving Hereford four points above Aldershot in the final relegation spot. Manager Martin Foyle and assistant Andy Porter, who are believed to have gone without pay since Christmas, were dismissed last week and replaced by youth boss Peter Beadle. Radford, now 70, said: ‘Obviously it’s painful at the moment, the club is in a really desperate situation. I feel so sad. All we can hope is that things can get turned round.’Radford knows a thing or two about beating the odds. It was his goal, a wondrous strike that shook the country and launched the career of a young John Motson, which levelled an FA Cup third round tie with First Division Newcastle five minutes from time. Thousands of fans flocked on to the muddy pitch as he celebrated, arms aloft. Radford, back then a part-time joiner, said: ‘That has stayed long in the memory and when I, or any of the other players, go to Hereford the response is amazing. So many people were affected by that. They make it clear it was a golden period they don’t want to forget.’A campaign to generate the funds required to stave off the winding-up order has started. Social media has been busy with fans raising awareness and every avenue for raising cash is being explored. ‘That went for a bundle more than £25!’ added Colin Addison, who was player-manager in 1972. ‘The fact they will still play at Edgar Street, still play in the same colours and still call themselves Hereford Something is immaterial. Former manager Colin Addison has stressed that Hereford United needs a miracle urgently. "What happened in 1972 (Newcastle) really was a miracle," the former manager told the Sunday Mirror. "And Hereford needs another one to happen right now. "Gates have fallen by 50% over the past seven seasons because what we have produced on the pitch hasn't been good enough to keep the fans coming back. "But those that have never wavered in their support haven't lost their spirit. "And the fact that players with mortgages to pay and young families to feed haven't deserted the club, despite not being paid in full for a couple of months, proves to me that they care as much as the supporters. "We're still hoping that the club can be saved. It would be terrible for the city and the county if the worst happened. "And it be a damn shame for the football as well. "What we need more than anything is cash." Stuart Hammonds of the Non-League Paper feels it will be tough for Hereford United to stay in the Conference Premiership even if they can overcome their financial crisis. "I know they lost (yesterday)," Hammonds told BBC Sport. "I watched Hereford at Barnet last week and I've got to admit they look relegation fodder to me. "I think they've scored three goals in twelve matches and they've all come from centre-halves. "They are struggling big style. "But we hope they don't have to go into administration and everything that follows with that. "We hope this winding up petition that's going to heard on Monday week doesn't have a real serious implication. "Fingers crossed for them, I hope they can pull it off both on and off the pitch. "But based on what I've seen on the pitch they are going to struggle to stay up anyway." Pritchard: £78k "Buys Us Some Time"
The Hereford Times says the club will have to enter Administration on Friday if it is to avoid being wound up should it fail to find the outstanding tax sum. Quite of lot of fundraising by Hereford United supporters today. And Continued In High Town Raising Over £500. Others Went To Tesco. A selection of second-half pictures from this afternoon's game at Edgar Street. Today's fan march through town raised £500 for the Bulls. The group also stopped off in the city centre Tesco store to generate more donations, and intend to repeat the march next Saturday. Meanwhile, the collection at Belmont Tesco today raised over £650 and counting. Staff at the store will be continuing the collection tomorrow. A selection of pictures from the first half at Edgar Street this afternoon. Results went a little against the Bulls today, cutting their gap to the bottom four to just a single point. Aldershot beat relegated Hyde 1-0 to move within a point of the 20th placed Bulls, while Dartford beat Macclesfield 2-1 to move within two points. Tamworth's 0-0 draw at home to Lincoln leaves them nine points short of safety. Chester lost 2-0 at Welling to stay a point ahead of the Bulls, with Southport not playing after beating Forest Green on Thursday night. At the top Luton suffered a 2-0 loss at Halifax, but Cambridge drew 1-1 with Barnet to only cut the gap to 13 points. Gateshead are third after a 1-0 win over Braintree, who drop out of the top five. Alfreton are fourth after drawing 1-1 with Nuneaton with the Shaymen up to fifth ahead of Grimsby on goal difference. Salisbury drew 1-1 with Kidderminster to leave the Harriers three points off the play-off places. In the other game, Woking beat Wrexham 2-1. At the foot of League Two, Torquay lost 1-0 at Southend to be seven points short of safety after Portsmouth beat Newport 2-1 and Wycombe drew with Scunthorpe. Northampton need three more points after going down 3-0 at home to Bury. After last Saturday’s upbeat defeat to Barnet, caretaker manager Pete Beadle only made one change to the starting XI. Following Rod McDonald’s injury at the Hive, utility player Rob Purdie slotted into the right full back position making up a back four of Chris Bush, skipper Luke Graham, Dom Collins and Rob Purdie. Youth teamer Jarrod Bowen had his home debut, starting on the right of midfield. A positive start from the Bulls was brought to an abrupt halt when striker Sam Smith was harshly tackled by Andrew Boyce. Smith took the free kick from just outside the area, but his effort hit the wall and was eventually dealt with. Jarrod Bowen then passed to James to allow him to run into the box, but his shot was deflected out for a fruitless corner. After a period of short, neat passing, Jon Brown linked-up nicely with Bowen who cut into the box, but he was unlucky to see his low hit the side netting. With 23 minutes on the clock, Kerr saw his name enter referee Kevin Johnson’s notebook after he fouled Kingsley James. Following a confrontation between the two, Purdie delivered the resulting free kick into the danger area, but the onrushing Sharp couldn’t quite connect with the ball. Former Carlisle man Andy Cook won a corner and took it short to Kerr, who crossed the ball into the 18-yard box, but the ball was caught all too easily by United keeper Daniel Lloyd-Weston. DLW was then called into action again minutes later when he deflected Alex Rodman’s shot out for a corner which was overhit and no danger to Hereford’s back four. Just before the break, Aswad Thomas was dispossessed by the spirited youngster Bowen, who quickly offloaded the ball to Brown, whose cross went harmlessly behind for a goalkick. The first 10 minutes after restart saw Hereford attempt to open up the Mariner’s defensive line without real success. Despite the fact Hereford are now starting to pass the ball, a lack of creativity in the final third is still Hereford’s Achilles heal. After picking up a knock, Pete Beadle replaced Chris Sharp with Dan Walker. After rarely threatening in second half, Grimsby broke the deadlock just past the hour mark. Craig Disley freed Alex Rodman down the flank and after Chris Bush was caught flat-footed, he sent a left-footed 18-yard screamer into the top left-hand corner of the helpless Lloyd-Weston’s net. Both teams then made double substitutions within 9 minutes of the opening goal. First Mariners’ boss Hurst brought on John Lewis and Ross Hannah for Connor Jennings and Andy Cook, before Pete Beadle replaced Kingsley James and Jarrod Bowen with Williams and Leadbitter. Within seconds of winger Leadbitter being on the field of play he was harshly brought down by Grimsby’s Kerr, in a similar incident as what Leadbitter experienced earlier this month at Blundell Park. Scott Kerr rightly saw red after Referee Johnson showed Kerr his second yellow card of the match. Substitute Cory Williams created a goalworthy chance after a period of good play by the hosts. Williams’ shot was deflected wide. The resulting inswinging corner by Artus was headed wayward and went behind for a goal kick. Probably Hereford’s best chance to grab at least a point from the game was when Danny Leadbitter crossed the ball low from the right. His powerful cross come shot slithered agonisingly wide of McKeown’s with none of United’s players able to get a toe to the ball. On the stroke of 90 minutes, Leadbitter was yet again target of a bad Grimsby foul. Lenell John-Lewis was then shown a yellow card after a forceful challenge which saw both players receive treatment. The Bulls continued to huff and puff but didn’t create any real threat in the attacking third and the teams effort went without reward. Hereford: Lloyd-Weston, Purdie, Graham, Collins, Bush, Bowen (Leadbitter 72’), James (Williams 72’), Artus, Brown, Smith, Sharp (Walker 57’). Subs not used: McDonald, Edge. Grimsby: McKeown, Hatton, Pearson, Boyce, Thomas, Rodman, Kerr, Disley, Neilson (Thanoj 74’), Cook (Hannah 64’), Jennings (John-Lewis 64’). Subs not used: Colbeck, McDonald. United can count themselves unlucky not to have gained a point from this match, but as has been the case for much of the season, the play in the final third is letting them down. It was nice to see the excellent playing surface actually having the ball passed on it and obviously the players are responding to Pete Beadle’s footballing philosophy. See you next Saturday for the visit of Woking. I'm Sure We'll Score Against Woking Said Artus. Man of the match Frankie Artus spoke to BBC Hereford and Worcester after full time. He was asked whether the Bulls could avoid relegation. "There are six games to go and every game is going to be vital. The sooner we can get points on the board the better." The interview then turned to the financial situation with the players not being paid. "We try to leave the football and the financial situation apart but when it's everyday life, everything you do revolves around money. "It quite hard but in the last couple of games we're tried separating that and concentrating on our football. "I think we've played well at times in games but it's just that cutting edge, we need to score goals and win games. "It's that final third but I think once one goal goes in confidence will lift. "It seems impossible at the minute but if we keep working hard on the training ground I'm sure we'll score in the next game." All the main stats from this afternoon's Conference match at a sunny and warm Edgar Street. Hereford are in 20th position. Hereford United manager, Pete Beadle, told BBC Hereford and Worcester that he was gutted for his players after they put on a better performance this afternoon against Grimsby. "I just said to the boys I'm genuinely gutted for them because they put in such a good shift, played some good stuff, lacked again a little bit in the final third with a little bit of quality," said Beadle. "We didn't test their keeper enough but certainly did enough to deserve something from the game." "It was a fantastic goal but we think it could have been cut out way before he got into the box. "We could maybe have put a bit more pressure on the ball before he came into the box. "But when you're down there, you're down there, and you keep getting kicked in the stomach all the time, but we've got to roll our sleeves up and keep going. "Even after the goal we were positive, we stuck almost four up-front and tried to get in the game. "On another day one drops for us in the box and we get a chance but we're just not getting that luck at the minute. "We moved the ball quite well at times and we had some nice little passing movements but we just want the end product to go on the end of it. "Defensively we were pretty sound, they had a couple of half chances. "When you're playing like we are at the minute you're going to have half chances against you. "We were pretty sound all over the pitch until he cuts inside and bends one in the top corner which sometimes you can't do much about. "We'll work again this week and do some more stuff in the final third. "We knew it wasn't going to change overnight, we're asking them to do different things, to be brighter, to be comfortable and trust people with the ball and they're doing it. "But we're just not opening teams up yet." Beadle admitted the team needs a goal. "We just need that goal, we need to get that goal, we need that bit of luck or a bit of magic like Grimsby had today. "We need someone to come up and get us that goal. "A goal would have been a big plus for us today but we didn't get it. "Fair play to Grimsby they came and did a job." A solitary 20 yard rocket saw the Bulls lose 1-0 to Grimsby in today's match at Edgar Street. The Mariners ended the game with ten men but the advantage, and the vociferous support of a swelled crowd, couldn't sharpen the Bulls' front line. Former Hereford United goalkeeper Wayne Brown has said that he's very worried about the financial situation at his former club. Brown is currently goal-keeping coach at Oxford. “When I left, Graham Turner was the chairman and he ran such a tight ship, nothing went to waste," Brown told the Oxford Mail. “For that to turn into the way it is now in a couple of years, I can’t get my head round it. “I had some good times down there and it’s such a friendly club. “The fans are great and stick by you, through thick and thin. I’m astonished. “I’ve been speaking to a few people, who said it might get liquidated and become one a phoenix club, like Chester. "Hopefully, fans can do something. It’s part of the football family, nobody likes to see a club go under."